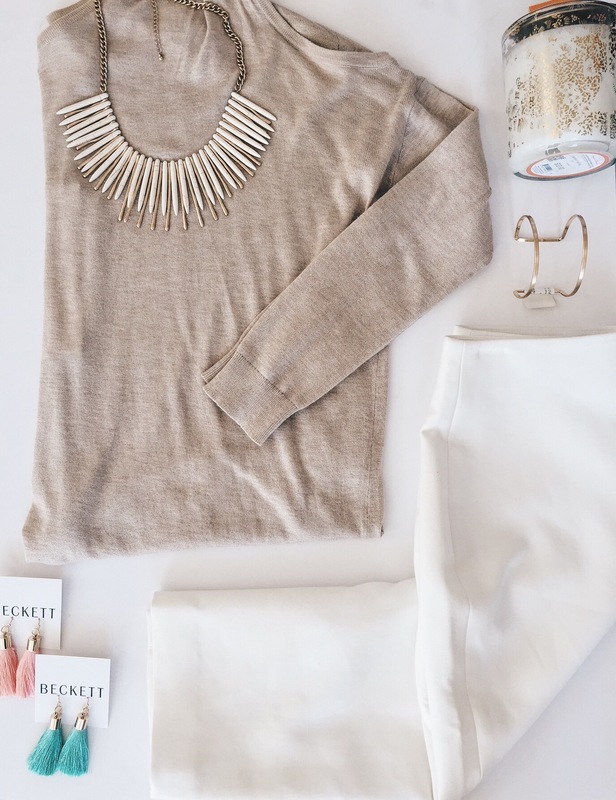 Beckett Boutique | King Street, Charleston, SC » Neutrals: How To Wear Them, How To Love Them. Neutrals: How To Wear Them, How To Love Them. Sure a neutral outfit is vanilla – that is, if your definition of vanilla is a quiet sophistication that commands the respect and attention of every room you walk into… totally my definition. Wearing a well-styled, neutral outfit is like telling the world that today you are confident in who you are without having to shout it so the neighbors can hear. Who you are in this style, is a woman who wakes up in the morning in a bed draped in cool-toned stonewashed linens then heads to a pristine white balcony overlooking a glinting Nantucket coast line – all while sipping from a steaming cup of French pressed coffee that an exceptionally toned man-friend crafted for you. 1) Keep it simple and bright – brightness seems to make everything more fresh feeling and happy doesn’t it? 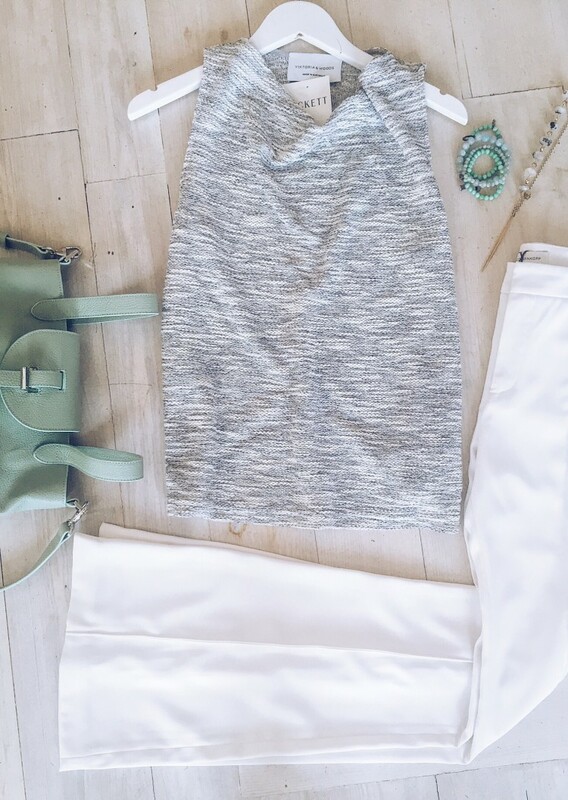 No crazy prints, outliers, or bold statements. 2) Add interest with texture and/or one understated pop of color. This helps balance the simplicity making your outfit more aesthetically pleasing. 3) Play with lines and shapes! Having the element of color gone, means there is greater emphasis on form. Pair a wide leg pant with a top that has a higher neck. This keeps the eye moving and elongates your body. 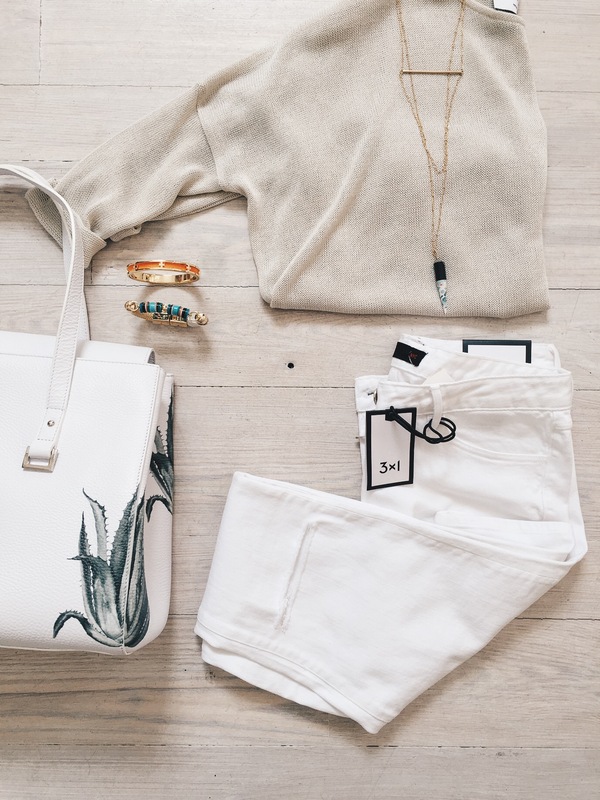 See the neutral looks we styled below for some outfit inspo. All available at Beckett!